Below i’ll explore the origins of the title Business Development Representative and then dive into what BDR’s actually do. 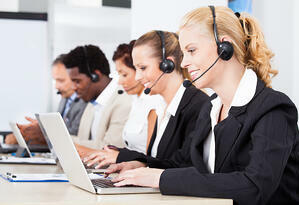 Where Did The Title Of Business Development Representative Originate? Somewhere late in the 1990’s the role of the salesman, and even the sales department as a whole, underwent a giant transformation. What was once a glorious field sales rep position dependent on highly leveraged relationships yielded over years of in-person interactions, quickly started dissipating as the proliferation of the Internet and the abundance of information made it easier for salesmen to reach out to a larger pool of prospects online. Slowly the idea of an outside sales team eroded more and more as the new model of inside sales' teams took off. Why run up an expensive sales budget by placing costly field reps all over the world when you can bring in an internal team who can knock out more sales calls from a central location? Where Does The Business Development Representative Fit On The Sales Team? 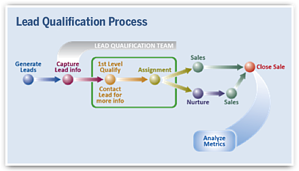 By bringing the Sales team in-house, a whole new genre of sales positions was developed to pass qualified leads through the sales cycle. No longer did one person need to prospect for potential prospects, do the initial outreach, demo to that prospect, create the proposal, and then nurture the prospect post-sales. What was once largely a major time crunch full of dead end leads, the role of sales hunting for new leads and reaching out for the first time to that prospect was finally bequeathed to a new generation of sales hopefuls: The BDR! BDR’s take away the agony of hunting under every rock for new sales leads that once fell on the shoulders of the generic salesman. Instead, sales closers can focus on the close while BDRs continuously bring in a fresh pipeline of highly qualified leads. Thus, BDRs filled the gap of creating highly qualified pipelines of new sales leads, while routing out bad fits and giving back to Account Executives and Sales Closers the one most precious commodity any salesperson could ask for: time. What Are The Responsibilities Of The Business Development Representative? As alluded to, BDR’s are at the very forefront of the sales cycle. It’s the Business Development Representative’s job to find sales leads they think would be ideal fit’s for the company’s product, reach out to that prospect for qualification, and then setup next steps for a followup call, demo, etc., with one of the sales closers on the team. Essentially, the BDR is the first touch point for potential clients in the sales cycle. How they interact is critical in the eyes of the prospect. A good first impression generally goes a long way in fostering long, healthy relationships. Are All Business Development Representatives Positions The Same At Different Companies? Some BDR positions require prior sales experience, some don’t. Other BDR positions at companies are part of a well-thought out BDR program, others aren’t. Who I want to help are those in the BDR roles at startups. It’s those positions that require a little more creativity and a little less reliability on inbound sales leads. So if this sounds like the BDR position you currently find yourself in, then this site is perfect for you. Note: If you're having trouble with your social selling strategy, or would just like to talk about different ways you could expand your selling scope, I'm happy to talk. You don't need to be the boss of your own company to chat with us! Just click the button below.